I’m still coming down off the high of last weekend. 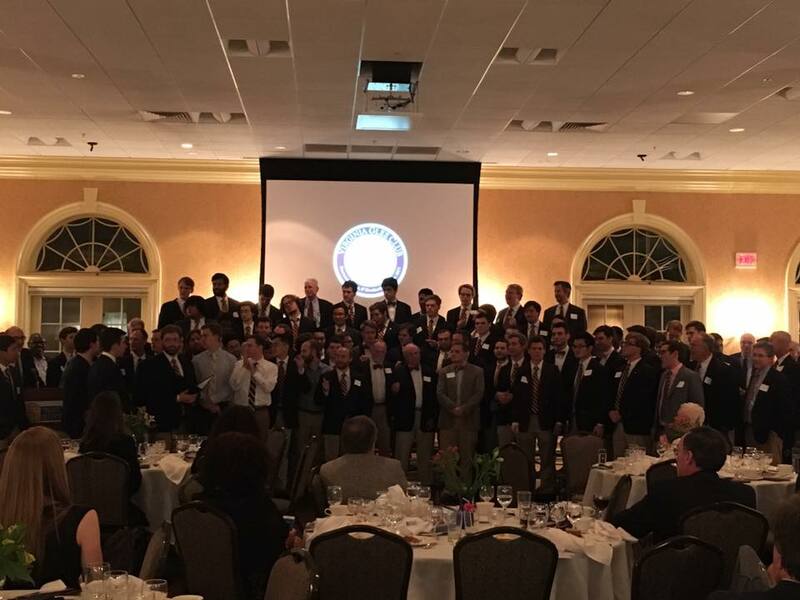 What an amazing 145th anniversary celebration for the Virginia Glee Club. And yet it was comfortable and relaxed in a way that I didn’t think it could possibly have been. We had friends and family there, and alums from the early 1950s all the way up through last year in attendance. Getting up early on Saturday morning and watching the Lawn wake up, then watching all the alums spontaneously appear. Don Loach showing real fire as he led us briskly through “Hark, all ye lovely saints” and two numbers from “Summer Songs.” Singing the first movement of Testament of Freedom with alums from seven decades. Watching John Liepold absorb what Club tradition had done to “Winter Song,” which he introduced into active repertoire almost 25 years ago, then conveying everything he wanted done with rubato and dynamic without saying a single word. Singing the James Erb “Shenandoah” facing the back of the hall and hearing John’s occasional finger snaps clarifying the beat as we listened closely to each other. Singing the Shaw/Parker “What Shall We Do With the Drunken Sailor” at maximum velocity and finding it lay ready for me, more than 20 years after we toured it. Hearing the conductors trade stories about having sung with Shaw. And doing the Biebl with over a hundred current Glee Club members and alums. Marching a crowd of alums over to the Small Special Collections Library and watching them absorb a small portion of the treasures from the Glee Club’s archives there. Seeing Tyler along with a crowd of 1990s alums at the Biltmore. Choking up during Don Webb’s toast at the banquet. Watching the current Virginia Gentlemen sing “Perfidia” with three alums from the 1950s, including two of the original eight members. Jumping up with them and the current Club to perform “Shenandoah” as an entire Glee Club army. I’ll post more but wanted to get a few thoughts out today. And the great thing is that we get to do it again in five years!